Why Kill Switch Switch is Important for a VPN? Reddit can definitely rub some protective regimes on the wrong side due to unabated use of free speech on the site. Many countries have momentarily or permanently blocked access to the site for various reasons. China obviously has Reddit blocked, just like it has done with other similar social media sites from outside its country. North Koreans can’t access it either. Countries like Russia, Turkey, Indonesia and Iran have made attempts to block access to the site temporarily and it’s not unimaginable that they do it again in the near future. But the list won’t remain limited to these countries only as Redditors often very easily find ways in they can offend the big policy makers in any county. So, you never know whether the next ban on Reddit will take place in Uganda or the UK, but one thing we can assure you, is that it will do take place. In such a scenario, you shouldn’t bow down to the muzzle on your speech by doing nothing against the blockage of Reddit. Using a good enough VPN can allow you to bypass the blockage in place very easily. VPNs are fast becoming increasingly necessary to guarantee a free internet where nothing is off limits. If you don’t want to compromise your freedom as a user, you need to get a VPN as soon as possible. User opinions are always the best indicators of how well a service actually performs. No one can test a service as holistically as a horde of users, so if some users are saying that a VPN doesn’t unblock Netflix, we’ll take their word over it than any other source, be it a credible review website or the provider itself. Users can be trusted with their opinions because they have no vested interests in promoting or downgrading a service. Its works very simply as far as users are concerned. If the user has his/her goals pertaining to the service acquisition met, then it will definitely be vocal about how good the experience was. But, if you dupe the user with false promises, then you need to be prepared to face its wrath. So here it is, our comprehensive guide on the Best and the Worst Reddit VPN Providers 2018 brought to you by BestVPN.co! Conventionally, at BestVPN.co, we do reviews from our own perspective and rate a service based on its performance during our tests, but here is a review of a different kind. According to our Reddit VPN review the majority of user reviews about ExpressVPN on Reddit are overwhelmingly positive and we are not surprised. ExpressVPN is perhaps, the best VPN service in the world, if not that, it must be in the top 3. They have put up a stellar performance on all fronts, be it server performance, faster speeds, Netflix unblocking and more. On Reddit, we found a comprehensive review of the service posted by a more informed Redditor, who definitely had some idea on how VPNs work and what should we expect out of them. The user verified that the Amazon Fire TV app worked incredibly well and made it even easier for people to use ExpressVPN as their preferred VPN to unblock geo-restricted content on this streaming site. There user also took a note of the consistent speeds on a majority of US and Canadian servers by the provider. No DNS leaks were reported as well. Another user said that it had been using ExpressVPN to access Netflix US and it has just been a splendid experience to say the least. If you sift through those reddit threads which discuss VPNs that unblock Netflix or similar streaming sites, you will find that ExpressVPN has been mentioned a great number of times. Very few users have also gone on to complain about the service, but they are mostly related to the high pricing and automatically recurrent charging of account because the user forgot to disable that option when signing up., so we don’t give them much weightage as they are not VPN performance related issues. ExpressVPN remains a top VPN, irrespective of who’s reviewing it, a top notch expert or a common Redditor. To learn more ExpressVPN, view our detailed ExpressVPN review. A US based VPN provider is bound to raise some eyebrows because being located in that country is like a goat living in a den full of lions. But Private Internet Access has still, to its credit, managed to gain credibility over the years as an incredibly secure VPN that has kept its promise of keeping zero logs. But that’s not it as the provider has a lot of other good features that users on Reddit readily point out in their reviews about the service. One user appreciated the great uptime it enjoyed with the provider. This user had been with the service for a good 2 years but it rarely witnessed any disconnections, and we can also vouch for this same fact, because in our multiple reviews, the provider has seldom broke down. It’s a robust service and they are gearing for further improvement by open sourcing their internal codes and techniques. Comment from discussion KaiForceOne’s comment from discussion "PrivateInternetAccess VPN (Review)". Another user, who had asked for a refund with PIA after experiencing some problems with the speeds provided, mentioned that the refund was processed almost instantaneously. The user also wrote that the customer service with PIA is excellent and that’s a major plus for any service in today’s highly competitive world. Treat your customers the right way and they will surely stay. Here you can read our updated Private Internet Access review for more information. Any VPN that can not just unblock geo-restricted content, but manages to do that on sites where VPN blocking is enabled, is a winner already. NordVPN does exactly that and here is a testament of proof regarding this very quality of the provider on Reddit. Comment from discussion Electoo2’s comment from discussion "NordVPN compared to Mullvad. Pros and cons?". This user highlighted the fact that NordVPN works on sites like Netflix and Hulu and we second him/her on this because it does. The provider has a whopping 4835 servers that keep increasing every other month. In comparison, ExpressVPN only has around 2000 servers, which means the NordVPN provides 2 servers for every 1 server available at a Best VPN provider. It also offers a Smart Play feature for a faster and a smoother streaming experience. There are wide number of other equally impressive features with the provider like Kill switch and P2P support that have made it a user favorite on a site like Reddit. To learn more about NordVPN, view our detailed NordVPN review. There is a particular reason as to why you should trust users of a service when they say something about it, and that’s because no one can be more honest than them when judging the service or any of its features through the parameters of performance. Torguard is one of the few VPNs to provide a dedicated Stealth VPN feature that makes it almost next to impossible for ISPs and government authorities to even single out VPN data packets from regular data packets according to our Reddit VPN Review. This provider has some other power packed features apart from this as well and that’s why its liked by thousands of users from across the world. You can find countless comments by user praising the higher speeds and amazing streaming support among other things by the provider. Many Reddit users also mentioned in their comment that if you use the coupon code “TGLIFETIME50”, you will be able to get a 50% discount on the pricing plans, hence allowing you to enjoy your subscription even more. This provider has been one of the more popular VPN providers out there,. Despite being a relatively smaller service than the other giants in the market and not offering much in the name of premium features, IPVansish has done a pretty commendable job in holding its own against much bigger competitors. The features are secure and the apps are highly compatible, which has made it wow users on a much wider spectrum. Here, one Reddit user talks about how IPVanish offers high compatibility with a wide range of devices and then the user goes on to praise different aspects about the service, like the availability of the SOCK5 Proxy, 400+ servers and more. Comment from discussion PIA – Private Internet Access vs. IPVanish. Comment from discussion /r/vpn Recommendations Megathread #5. IPVanish did get its reputation tarnished a little bit in recent times as news came out that t does keep user logs, but apart from that, the feature pack is more than good enough and many redditors seemed satisfied with it for activities like Torrenting. To view more updates on IPVanish, view our detailed IPVanish review. The first VPN to introduce the incredible Split Tunnelling feature, Ivacy is a name that most VPN users are aware of as a provider which offers top grade features despite being relatively smaller in size as compared to the more established providers out there. For gamers, there are a lot of incentives that Ivacy offers including dedicated DDoS protection, bypassing firewalls, unblocking geo-restrictions, reducing ping rates and overall latency and a whole lot more. IvacyVPN is also reasonably priced at just $2.29/month if you opt for its 2 year plan. One of the best VPN providers in the world right now, NordVPN is also exclusively well engineered to fit the needs of gamers perfectly. It has DDoS protection which will protect you in the event of such an attack from a fellow adversary while gaming. On top of this, it unblocks geo-restricted websites allowing you to access the newest games that are not available in your region before anyone else. One user, while deriding free providers, mentioned that it used NordVPN for gaming and it perfectly served its purpose well. Comment from discussion PorkAmbassador’s comment from discussion "Best vpn for gaming?". As the name suggests, this VPN provider is not just fast but also hits the mark with every single feature it offers. BulletVPN is based in Estonia, which is fairly safe when it comes to data retention laws, but this VPN provides more than just online anonymity as its best feature, according to our review, is its ability to unblock geo-restricted sites like Netflix US with incredible ease. It offers just 51 server locations as compared to the thousands offered by the Top Gun VPNs out there, but never once will it falter in matching the bigger providers in terms of different server performance metrics like high speeds, zero bottlenecks among others. On the support spectrum, it offers dedicated client apps for a plethora of devices including Windows, Macs, iOS and Android along with dedicated setup guides for niche OS/devices like Playstation and AppleTV. We were highly surprized that despite such good performance as a VPN, BulletVPN doesn’t have any mentions for Reddit. This is not a good thing for the service as by the looks of it, its failing to market itself properly or not getting its user mobilized enough to praise the provider on Reddit. However, there are even no negative reviews. Rarely, do we ever come across such a scenario where a VPN is neither praised nor bashed on Reddit. If you want to acquire BulletVPN’s subscription, then go for the yearly plan that is billed at $89.98 once making it cost you just $3.75/month. 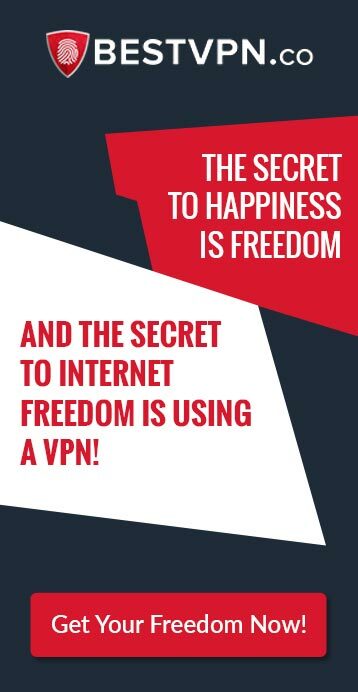 But that’s not all as BulletVPN is running a special offer on this plan in which you are currently getting an extra year’s worth of subscription for absolutely free. When we talk about Torrenting, only the best VPN would do the job. That’s because Torrenting often lies in the legal grey area and indulging in this activity through a shaky VPN service can land you up in big trouble by being served with legal and financial litigation notices by copyright trolls. The Best VPN for Torrenting according to the Redditors features those providers in the majority that provide the best security cover through encryption and protocol support and are zero logs providers. As we have already covered this VPN earlier in the post as well, we would like to reiterate that if a provider has a good overall service according to Reddit, then it will be the perfect choice for a wide range of activities you want to indulge in. The same goes for Torrenting. A user, after it shifted to ExpressVPN from HideMyAss as it was getting multiple legal notices due to Torrenting, commented that ExpressVPN has no such hassles. The user was also praiseworthy of other features of ExpressVPN like its kill switch, which is of immense help in protecting your identity when your connection drops and you are at your most vulnerable. As per the reviews on reddit, we marked ExpressVPN as the top vpn for torrenting reddit. This provider has always been commendable for being one of the best VPN for unblocking geo-restricted content and Torrenting. Redditors share a special affinity for PIA and the love for the service is evident in the comments present by the truckload praising the VPN for its unflinching performance levels. According to one user, its speeds do not fluctuate too much, thereby guaranteeing a sublime experience, which marks the second best vpn for torrenting reddit. Comment from discussion [account deleted]’s comment from discussion "Suggested vpn for torrenting?". Currently it offers more than 3111 servers in more than 30 countries thereby providing ample geographical reach to ensure maximum performance for Torrenting fans across the globe. This service has always been the hallmark of integrity in the VPN domain and provides users with a top rated VPN for indulging in activities like Torrenting and P2P file sharing in a safer manner. One user was a big fan of AirVPN’s bullet protection feature that never lets your IP leak. The user also commented that AirVPN’s Sweden servers were a bit slow, however this is normal because the provider doesn’t have too many servers in Sweden and server crowding can be common due to a high amount of traffic coming in regularly. If you use the other servers at AirVPN, the performance will be sublime and without much problems. Comment from discussion BlueBloater’s comment from discussion "What’s the best VPN for torrenting?". Upon reviewing many Reddit VPN reviews for P2P/Torrenting, we concluded that only two services did not manage to attract any negative attention: ExpressVPN and NordVPN (AGAIN). Both services seemingly offer the best security and privacy for streaming movies/TV shows and downloading pirated files. You can even conduct a P2P/Torrenting test on any of their servers via IPLeak.net, if you do not believe us! As for other providers, VyprVPN and Buffered VPN are also increasing in popularity for engaging in P2P/Torrenting. For more information on other best FREE VPNs for Torrenting, you can check out this guide here. Our research reveals that the top FREE VPNs for P2P/File Sharing include Hide.Me, Windscribe VPN, SecurityKISS VPN, and ZoogVPN. When it comes to VPN services, many users look for a FREE provider. However, what they do not realize is that they sacrifice privacy in search for zero costs. A wise person once said, “There is no free lunch in business” and that goes true with VPNs too. If you want to receive the best reliability, customer support, compatibility, and performance, particularly for streaming on Netflix, you need to look beyond. Since our guide assesses customer opinions & experiences, it is only reasonable to check what users are saying about the best Netflix VPN from Redditors themselves. In light of this, we researched through countless Reddit threads and sub-reddits to create a picture of what each brand shapes into. Continue reading to learn more about the top VPN providers, and their comprehensive analysis from Redditors. Comment from discussion FOTBWN’s comment from discussion "Sooo are there any VPN’s that I can use for USA Netflix these days?". Comment from discussion maps_mandalas’s comment from discussion "Sooo are there any VPN’s that I can use for USA Netflix these days?". Comment from discussion haystark’s comment from discussion "Sooo are there any VPN’s that I can use for USA Netflix these days?". After analyzing a lot of responses from various Reddit and Sub-Reddit threats, we learned that NordVPN and ExpressVPN exist as the two most popular options for unblocking Netflix. As you can see from our recommendations above, we have already added both providers. Therefore, if you want to leverage top security, especially for streaming on Netflix, you know which VPNs to go for! Oh and before we forget, there was also a lot of likeability for the new VyprVPN service, created by Golden Frog. Users claim that the Chameleon Technology proves successful in bypassing Netflix VPN detection algorithms, but we are still yet to verify this claim. Till then, use the VPNs we recommended and enjoy streaming safely and securely on Netflix! Modern day VPNs host server infrastructure spread across tens of countries across the world. This allows the users of these VPNs to have a wide variety of choice in terms of servers they wish to secure access to. Whether you are located in India or Hong Kong or even in Spain, by using a VPN, you can hide your original IP and choose a destination in another country to re-route your internet traffic through. This mechanism was originally built to ensure maximum security cover for VPN users, but with the passage of time we found other uses of it, among which the most popular one is unblocking geo-restricted websites and content. For e.g. you are currently living in China and can’t access Reddit. If you have a subscription to a Best VPN provider, then you can choose a server in a country where Reddit is available like USA or Japan and re-route your connection through that destination to unblock the site in seconds. 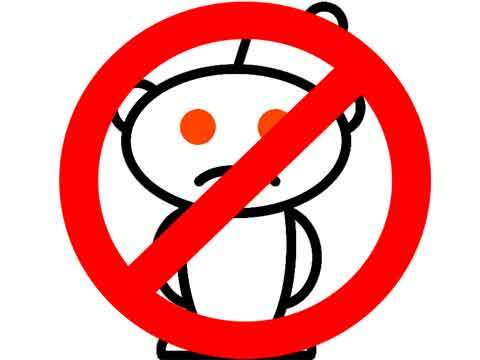 The only credible way to unblock not just Reddit but any other geo-restricted/ blocked site is only through a Best VPN For Reddit. But what makes a VPN a good Reddit VPN? What are the features you should be looking out for in order to make final choice? The most critical factor towards attempting to unblock any restricted site through a VPN is how many servers are available with the VPN provider and in what locations are they situated. If you are trying to access Reddit from an area where access to it is restricted, you would need a VPN that is highly secure in protecting your internet connection from surveillance. In order to achieve this aim, a VPN needs to have AES 256 military grade encryption so even if the authorities find out your internet data stream, they won’t be able to decipher the kind of activity you were indulging in. Encryption scrambles your data and makes it unreadable and AES-256 grade is the holy grail of encryption because it is secure even from brute force attacks. Protocols provide an extra layer of security to your connection by building a secure tunnel through which your data passes. The best protocol nowadays is OpenVPN, while the L2TP and IPSec also lie within the acceptable security parameters. VPN providers with multiple protocol support and AES-256 grade encryption is what you should be looking for in a Best VPN for Reddit. Complexity often ruins things and that’s exactly why we never recommend VPNs that don’t offer compatible apps for different OS. The provider should at least offer compatible apps for Windows, Macs, Android and iOS to guarantee maximum user ease while using their VPN service. You can use Reddit from a wide variety of devices, so you should only opt for a VPN provider that offers apps that can be easily setup and are also easy-to-use. If you are connected to a VPN while using the internet, there is a chance that if your VPN connection fails and you are still connected to the internet, your real IP location gets exposed. This problem can get you into some serious trouble if you are doing a sensitive activity online where your real IP should never get exposed at any cost, for e.g. if you are Torrenting and your VPN connection drops and your real IP gets exposed, copyright trolls can easily track you down and then send you legal and financial notices if you have tried to share a file that you shouldn’t be sharing without proper copyright cover. You can click and explore the following reddit post in which you learn how significance Kill Switch is for a VPN. The best solution for this problem is a Kill Switch which is now a common feature in most Reddit Best VPNs out there. A Kill Switch effectively terminates your internet connection if your VPN connection fails, thereby ensuring that your real IP doesn’t get exposed online. To resume your online activity again, you would either need to re-connect to the VPN or terminate its program altogether. In Most Top VPNs, this feature is enabled by default in the VPN client app. You can turn it off but from our perspective, that would be akin to committing online suicide. If a VPN doesn’t offer a kill switch yet, don’t opt for it no matter how good its other features are or how cheap its pricing plans are. No white can exist without the presence of black. Opposites have to be there in order to enlighten the user with two differing viewpoints. What people must keep in mind is that, on Reddit, it’s all about venting out your personal opinions. Even if a user hates a particular provider to the core that doesn’t necessarily mean that the service is bad. It’s only about the user was not able to meet the needs of the user like it should have. But when we start seeing bad reviews and rants by the truckloads against a particular service, we know that service is not putting in much effort towards satisfying its users. VPNs are supposed to protect your privacy and keep you anonymous and if that is the case, then Onavo is not liable to be referred to as a VPN. Allegedly owned by Facebook, Onavo VPN doesn’t have any extraordinary features and is just available as a mobile app for iOS and Android Platforms. Comment from discussion LizMcIntyre’s comment from discussion "Do Not, I Repeat, Do Not Download Onavo, Facebook’s Vampiric VPN Service". The policy explicitly states that the VPN will not just keep a store of your personal information, but it will also invade your privacy extensively by tracking each and every facet of your online activity. It will keep logs of what you did on a certain app, which websites you visited on a certain day and more. According to our view, Onavo VPN is just another gimmick by Facebook to siphon off more data from its users so that it can refine its database and bombard us with even more targeted ads than ever before. Seemingly, one of the better providers out there, HideMyAss wouldn’t have accumulated so many bad reviews on Reddit had it done just one thing right i.e. not keeping logs. Keeping logs or worse, turning them over to the authorities undermines the whole purpose of vowing to protect consumer anonymity online. If you like to indulge in a lot of file sharing activities like Torrenting or P2P, then HideMyAss is definitely not for you. This is one name that anyone wouldn’t have expected to be featured here but in recent times HotSpot Shield has been the target of ire of many of its former loyal users due to a sketchy service. HotspotShield has always been one of the top free VPN providers in the world and even its paid plan was not that bad. However, it has been accused of things like selling user data, bombarding users with nuisance ads and above all of being guilty of not treating its customers well. One user described its experience of how the provider didn’t cancel its subscription despite the user trying multiple times to do so. Such guffaws shouldn’t take place when you have garnered such a reputable name in the industry after years of service because if your reputation is compromised, no matter how good you were previously, your name wont have the same resonance again. In the Reddit Communities and threads about VPNs and related personas, we found one very common theme. Customers appreciate continuity in service quality more than anything else. Any service that is up one second and blips the second is not received well and if this pattern continues, the number of bad reviews against the provider would continue to mount up. The Best Reddit VPN according to us is ExpressVPN because it is unanimously approved by Redditors as one of the best providers in terms of enabling the best customer service along with supreme performance of all of its features. NordVPN is a close second and others should look up to these providers and emulate their performance models to up their game in the future. Yes, Reddit is absolutely free for users to sign up and use a basic set of features, but if you want access extra special features, you will have to subscribe to Reddit Gold. Costing $3.99 for a month’s worth of subscription and $29.99 for the full yearly subscription, Reddit Gold is a program for special membership on the platform. If you subscribe to this plan, you will secure access to a wide variety of special features that normal Redditors can’t use like the ability to create super-secret societies or become a member of the existing ones, get zero ads, create your own alien avatar, secure access to custom themes and more. What is Reddit Karma and How does it work? Reddit allows it users to upvote or downvote a user’s comments and posts. The more upvotes you receive, the more your Karma on the site increases. This is a virtual scoreboard signifying the total authority of the user and is visible on the top right bar. Karma is extremely important for Redditors because many Sub-Reddits won’t allow you to comment there if you don’t have a good Karma. This step is taken by many Sub-Reddits in light of the hundreds of spammers that would populate each thread if left unchecked. You also need a good Karma to start your own Sub Reddit Thread. What is Flair on Reddit? You can easily understand it as a more evolved version of the Tagging Feature on Facebook. Flairs often appear with the names of the Threads, Sub Reddits and even users and signify what they are actually about. For e.g. if you are in Sub-Reddit about history, then the moderator can add flairs to its most popular users to allow you to communicate with them based on their special niche and area of expertise. Reddit is far more than just a social media site. Its now evolved in to a place whose influence is unmatched in shaping opinions about all kinds of things and service alike and its importance is likely to grow even more in the upcoming years. If a provider wants to be considered as good in today’s world, only having a website just won’t let it make the cut. Performance matters the most in today’s world and if you slip up, then be prepared for a Rant on Reddit that will be written by an ordinary user but will be read by thousands of other Redditors whenever they search about your service. The comment will stay there for an eternity, so you need to be much more careful than you ever were. At BestVPN.co, we ensure that we take into account all kinds of perspectives before formulating an opinion about the industry we operate in. Expert Reviews are on thing and are no doubt important, but actual user opinion also has its own undeniable worth and cannot be overlooked. If you have any suggestions regarding this post or our service in general, then feel free to comment in the thread below. 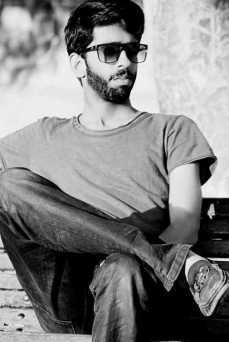 We would be more than happy to indulge in a meaningful conversation with you always. More Power to the Redditors!